Dairy, nut, soya & egg free baking & cooking ideas for the whole family! The theme for this time’s Instagram #tagalong that I take partin was lunch box ideas! 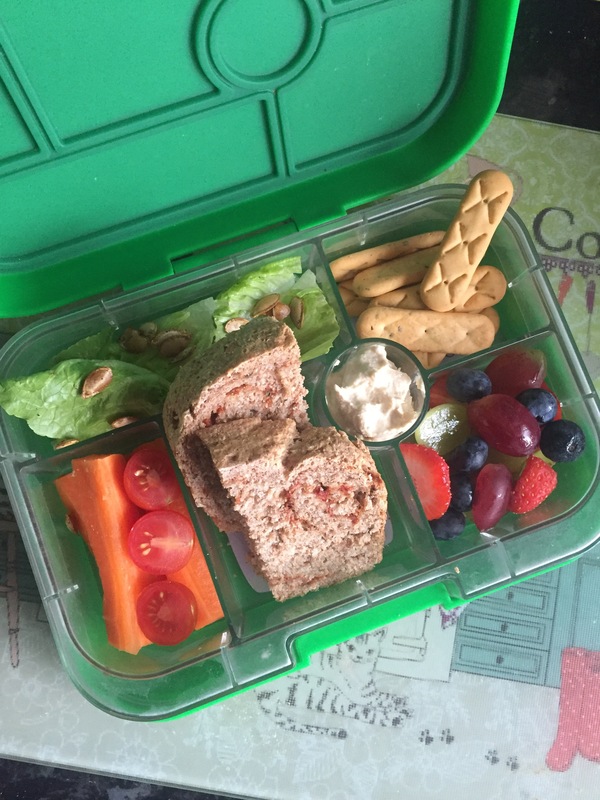 Little one is a couple years off of needing a packed lunch so it was a great chance to think about how I could make allergy friendly lunches healthy and interesting. Having had a recent success with the vegan chocolate bread I thought I’d try a savoury one. Little one isn’t a fan of sandwiches and we often have hot lunches or cold pasta dishes when out, so I hoped that she’d like this alternative. She didn’t rave about it, but I think it was mainly disappointment that it wasn’t the chocolate bread again! It is pretty much the same recipe as the Vegan Twisty Chocolate Bread but I’ve posted the recipe below again with the savoury additions. The #tagalong challenge is also refined sugar free so I omitted the brown sugar and it still worked well. I really enjoy taking part in these challenges, so make sure you head over to Instagram to see everyone else’s creations #lunchboxtagalong Remember if you’d like to be a part of the next one then contact @whole.family.food via Instagram! You can also check out the full list of ideas on BabyLedBlog- Feed Me Mama. 1. In a saucepan gently heat the milk until warmed but not boiling. Remove the pan from the heat and leave to cool until it reaches the temperature of bath water. 2. Pour into a large bowl and sprinkle on the yeast. Then let it sit for about ten minutes. After this add the salt and stir. 3. Gradually add in the flour, stirring altogether until combined. Pour in a little water if too dry. Tip onto a lightly floured board and knead for a few minutes to form a smooth ball. Pop into a lightly greased bowl and cover with cling film. Leave in a warm place to double in size, roughly an hour. 4. Once the dough has risen, place onto a lightly floured board and roll out to make a long rectangle about 1 cm in thickness. Spread the tomato purée evenly across the dough and scatter the herbs/onion granules over the top. Make a tight roll from the long edge. Cut the roll into two pieces evenly down the middle. Take the two rolls and pinch together tightly at one end. Twist the rolls together to make one twisted piece. Squish from either end to make a shorter, fatter loaf. 5. Place the loaf into a greased loaf tin and place to one side, allowing to rise again for 45-60 minutes. 6. Preheat the oven to 180C and then bake the loaf for 30-35 minutes or until the top is golden and the loaf sounds hollow when the base is tapped! 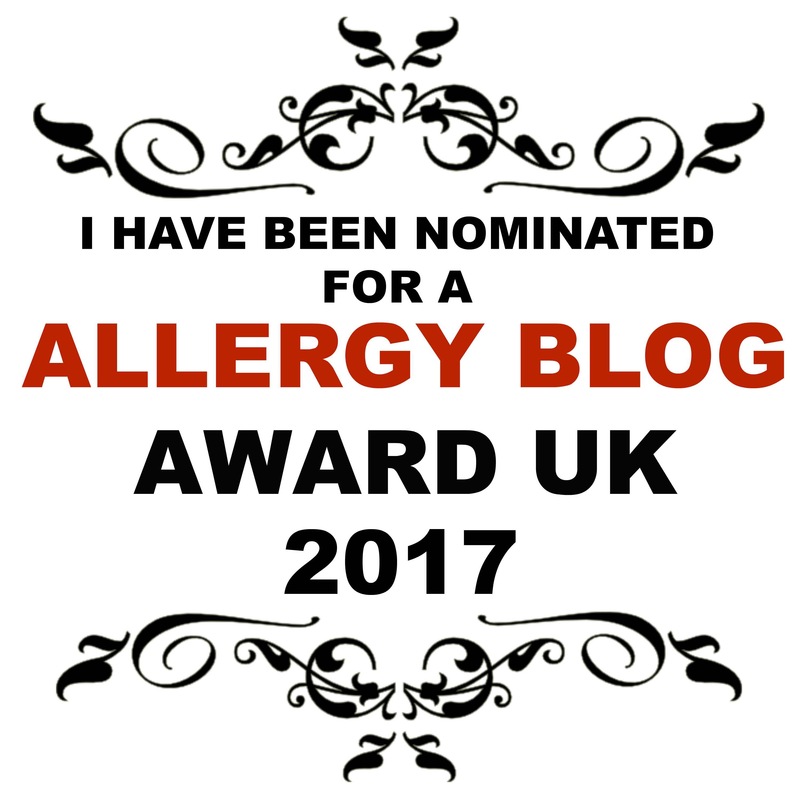 Remember you can vote for me in the Allergy Blog Awards UK. I’ve been nominated in the Parent Allergy Blog category and the Free From Recipes Category. Thank you!! !